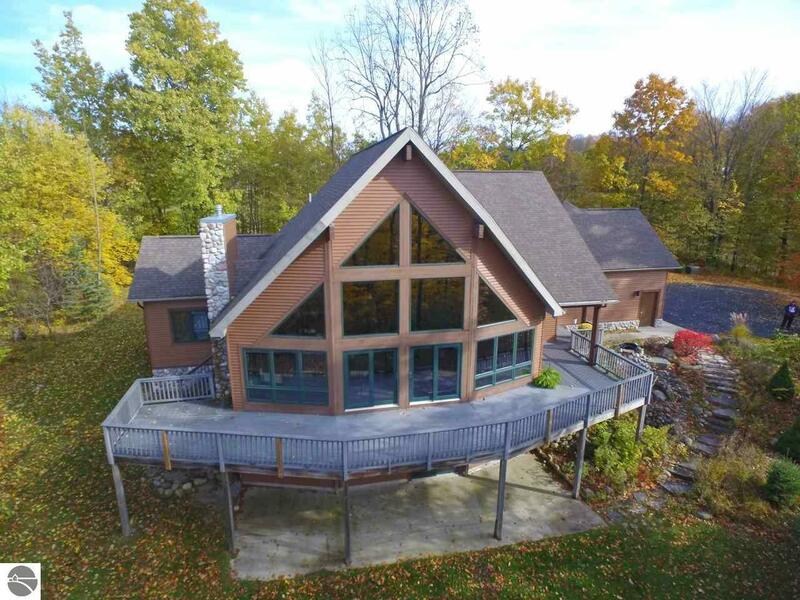 This gorgeous home nestled in a special private setting is what Northern Michigan is all about! Soaring window wall to enjoy nature, quality materials throughout, vaulted wood ceiling, main floor master suite with walk in closet, tile bath and shower, double sinks, 6 panel doors throughout, gas log stone fireplace on the main floor and stove in the lower level, 4 bd, 4 ba, open floor plan, granite kitchen with hickory cabinets, tile floor, upscale appliances, large tile mudroom with built ins, main floor laundry, in floor heat, ductless A/C, asphalt driveway, attached 3 car garage & a detached 2 car garage and 3.5 Acres! Not sure what else you could want....This is the ultimate package! Impeccably maintained and interior almost all recently repainted. This house is a pleasure to show. Building and Use restrictions ensure a quality neighborhood going forward. Bedroom 1 Size: 15'9" x 16'4"
Br4 Size: 14'4" x 10'4"
Laundry Size: 9' x 8'3"
Other Size: 13'8" x 9'6"